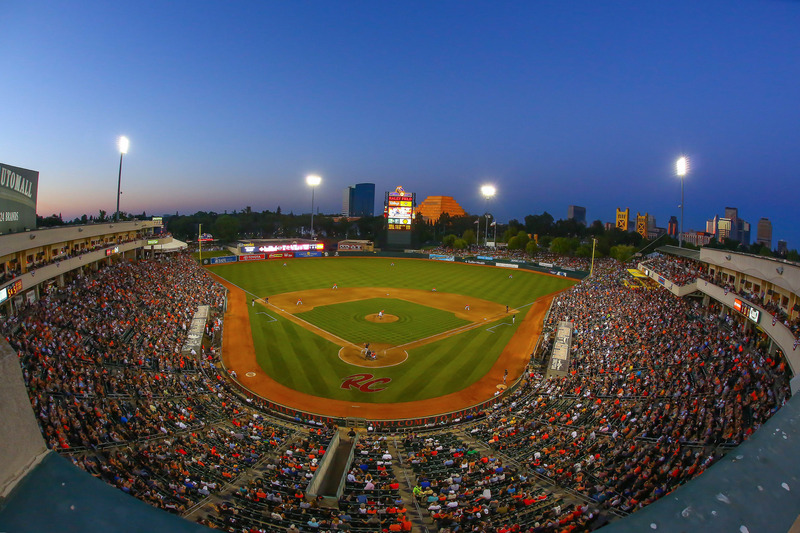 The offseason is a time for rebrandings, redesigns and refreshes across the Minor League landscape, where the biggest changes get top billing. This fall, fans have been introduced to identities such as Trash Pandas and Aviators and Sod Poodles, among others, as well as overhauled looks from long-established teams like the Sounds. But teams across the country are also going for subtler additions and changes to their logo and uniform sets for 2019. Below is a sampling of some of the under-the-radar updates being rolled out this year, with more announcements on the way as the season approaches. With the departure of the Helena Brewers to Colorado Springs, where they'll be known as the Rocky Mountain Guy Fieris Vibes, there's one fewer Minor League team in the state of Montana now. The Mustangs view that as one less obstacle to their eventual goal of Big Sky Country dominance. OK, maybe they don't, but with their two new alternate caps, they're playing the long game for state pride. 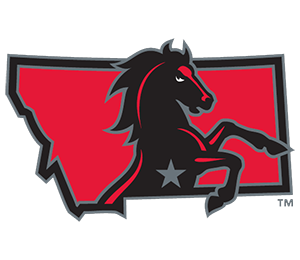 Billings now features a pair of logos with a bucking mustang in front of the state's silhouette, one in team colors and one with a star-spangled vibe. The new marks give the Mustangs three different mustang logos, including their primary and BP cap versions. If you're wondering what baseball's top prospect, Vladimir Guerrero Jr., will be wearing in the Minors this year, at least at times, the Bisons have you covered. 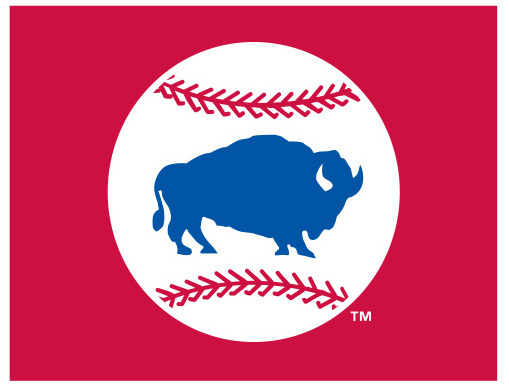 Buffalo returns to this beaut of a throwback alternate cap logo this year and will eschew last season's blue-and-red color scheme for the design at right, a two-tone blue look to go along with a curly "B" from years past. (Side note: It would be a good bet that the letter "B" has been stylized in more iconic ways than any other in baseball, from Boston's Red Sox, Beaneaters, Bees and Braves to Brooklyn's Dodgers, Robins, Superbas and Tip-Tops, to name a few.) Alongside its new stylish throwback, Buffalo will also roll with this Diamond Era alt in 2019. If there's one thing we can all agree on (or at least most of us), it's that more dog logos are a good thing. El Paso is here to oblige. 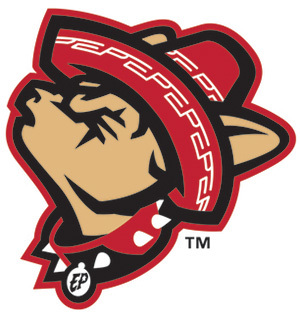 The Chihuahuas have rolled out a howling version of their angry smol puppo, which is clad in a sombrero of its own. El Paso will also throw back this year with a return to the musclebound chili pepper of the city's Diablos team from the 1990s. (While we have no doctors on the MiLB.com writing staff, it seems like that's an unhealthy level of musculature, which that pepper should probably have a professional take a look at.) The Chihuahuas are also rolling out a new suite of alternate jerseys for 2019, including the throwback (which feature some decidedly early-2000s D-backs-evocative numbers from the club's 1999-2004 affiliation) along with the lil' howler. Did someone say howling doggos? Erie's joining that party, too. For the coming year, the SeaWolves dropped a new third alternate cap that features a yelping version of their pirate pup in some different headgear. While Erie's home and No. 1 alternate caps feature a wolf in a solid red bandana, the new alt canine sports one with white spots that is both the one mascot C. Wolf wears and also one that looks like what 1930s cartoon characters used to make bindles. The hat addition isn't Erie's only tweak. The SeaWolves also designated their red jersey as their primary home top for 2019 and announced that they'll get in on this year's Copa de la Diversión with "a special nickname, logos and uniforms as part of their participation in the program." Last season's wildly successful Copa expands from 33 teams to 72 in 2019, so stay tuned for much more on that. The Goats burst onto the Minor League scene with their name and logos ahead of the 2016 season, and the least-utilized of their original logo set will get its own hat this year. The character from Hartford's campaign-buttonish roundel leaves the circle to take center stage on a new, third alternate cap. Featuring a Kelly green crown to go along with royal blue eyelets and a gray bill and button, the forward-facing goat, by contrast to Hartford's primary mark, isn't chewing on anything. But it does have an impaled top hat on its horn to let you know it means business. According to the team, the logo came about during the Yard Goats' initial design process and was inspired by the notion of "an alternate logo that somehow pulled from both the Yankees and the Red Sox, with a dose of Americana, being in the middle of the two teams, and in Connecticut, one of the original 13 colonies." The original concept didn't make it off the drawing board, but this one, with its nod to the Bronx Bombers, remained. 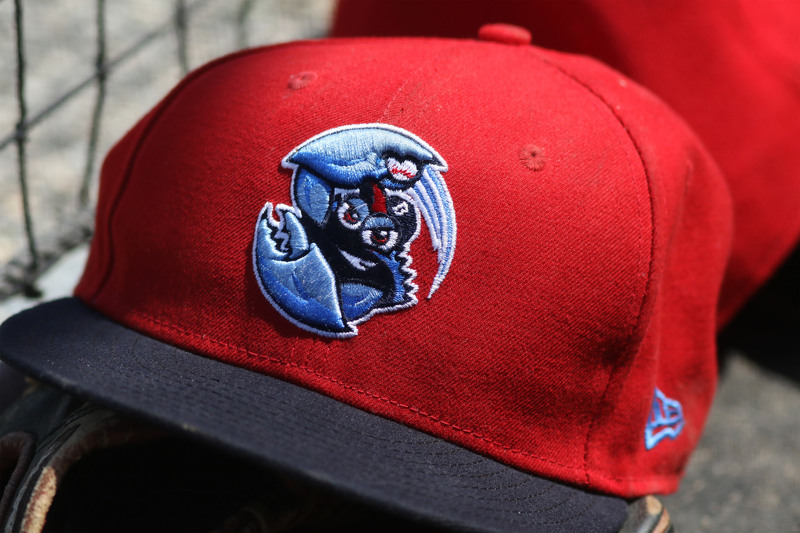 Not one, not two, but three new alternate caps are on the way for the BlueClaws in 2019. Lakewood will stick with its primary crustacean throwing a pitch on its home and road caps. 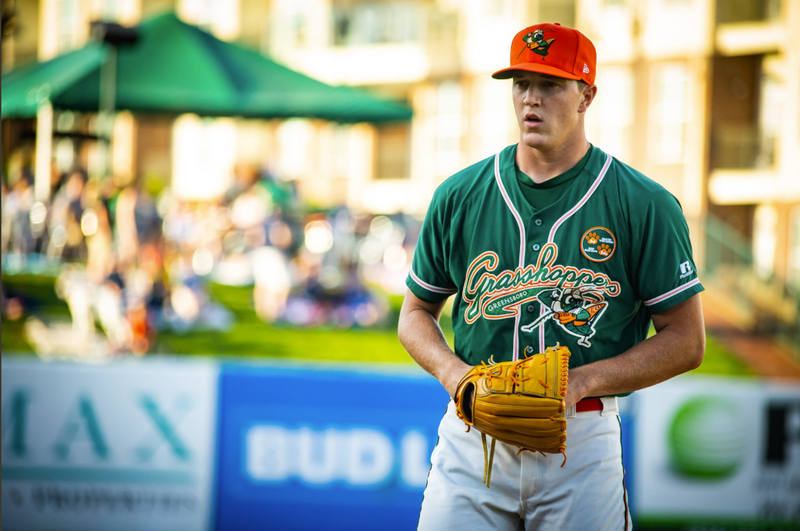 (This writer approves of more logos featuring defensive postures, given the ample number of logos hitting and lack of logos inspired by fielders, with the exception of Greensboro.) In addition to their No. 1 alternate featuring that same pitching BlueClaw, perhaps furious by what he perceived as a missed strike call and crushing the baseball as a result, Lakewood adds two more with characters and one with lettering. The club's new No. 2 alt is the lone lettering cap of the set, with its "BC" taken from the team's jersey script. In alternate No. 3, shown here, a new crustacean with very different eyes and sporting a totally different cap loves its career path so much that it's hugging a baseball -- in direct contrast to the No. 1 alt logo. The club's new alternate No. 4 Diamond Era cap is, you guessed it, a BlueClaw swinging a bat. There's always got to be one. 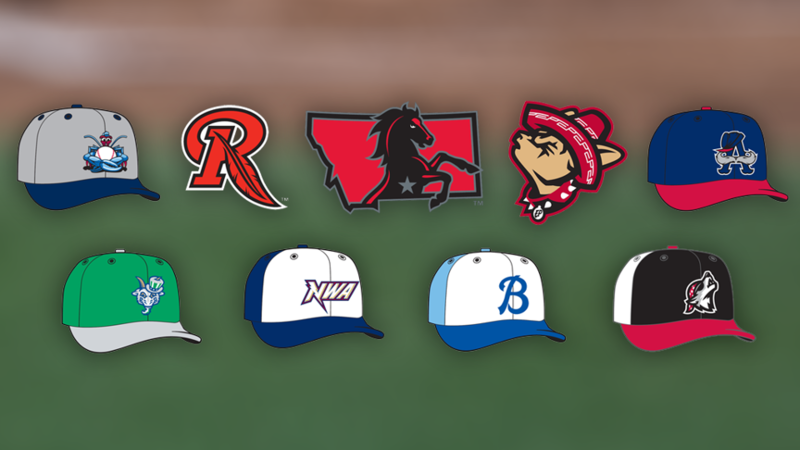 Straight outta Springdale, you can now get a cap with the "NWA" locator designation that has long signified Northwest Arkansas on box scores and graphics across the Texas League. The Naturals' new No. 1 alternate cap boasts "NWA" with the lightning-bolt-impaled "N" from their primary logo leading off the new mark. With a navy crown featuring white front panels and a navy bill, this has the feel of one of those "alternates" that gradually takes over as the primary because of how popular it becomes. This year Round Rock once more becomes Houston's Triple-A affiliate, a designation the team held from 2005-10, and the Express have refreshed their look with an Astros-feeling thread. Round Rock's new primary logo is a roundel, much like Houston's, with the train engine "E" as its centerpiece. As the team describes it, "the primary E-Train logo has been enhanced to more authentically represent the historic trains that came through Round Rock along the Chisholm Trail. The center of the E-Train is also a tribute to the iconic 'Lone Star' that Texas is proudly known for." The club's color scheme has returned to its original navy along with red and silver. 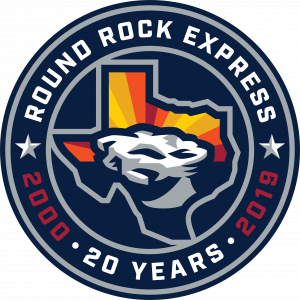 The Express also rolled out a 20th anniversary logo featuring the literal round rock for which their city is named in front of an Astros tequila sunrise-inspired skyscape. Finally, the team introduced "a new 'double-R' mark as well, a cattle brand nod to the Ryan family's love of ranching." The Ryan family referenced is that of Hall of Famer Nolan Ryan, who helped found the Express as a Double-A franchise in 2000. The River Cats are adding some new elements to their already crowded logo set in 2019. The River Cats now have eight (eight!) listed official colors, although a few are strictly limited to use in alternate looks. They are: cardinal, blue, light gray, dark gray, gold, orange, metallic gold and black. That's a bunch. This year, the Cats have a new primary home jersey design, plus a streamlined "RC" home cap and four (four!) new or tweaked alternate hats. One, at right, features a San Francisco Giants-inspired "SAC" stamped across the front of the crown. Another, unveiled ahead of last season, centers around the iconic Tower Bridge which sits beyond the right field wall at Raley Field. Bookending those two are a lead alternate featuring a cat's paw palming a baseball in water and a Diamond Era gray cap with the full primary logo.